Policymakers and operators alike are broadly in favour of introducing EU-wide legislation to govern the online gambling market. But common rules should not prevent member states from regulating online gambling as tightly as they want, participants in a European Economic and Social Committee conference heard yesterday (6 September). The European Commission is currently considering whether to regulate online gambling in the EU following the closure on 31 July of a consultation with stakeholders on the issue. "There's an appetite for action at EU level and it's up to the College of Commissioners to decide what to put in its communication, which will come out in 2012," Pamela Brumter-Coret, acting director of the European Commission's Directorate-General for the Internal Market and Services (DG MARKT), told a hearing organised yesterday at the European Economic and Social Committee (EESC). While gambling activities have traditionally been strictly regulated at national level to protect consumers from addiction, fraud, money laundering and match fixing, the exclusion of gambling activities from the EU's Services Directive has triggered numerous complaints from the gambling industry regarding access to national markets. Regulation of online gambling in Europe currently varies widely, ranging from perfectly liberal markets in some EU member states to outright bans in others, like Sweden. The absence of EU legislation has given rise to a number of European Court of Justice (ECJ) rulings on the issue and several Commission infringement procedures against member states to verify whether national measures limiting the cross-border supply of online gambling services are compatible with Article 49 of the EU Treaty, which guarantees the free movement of services. In June 2010, the ECJ ruled that EU countries can ban online gambling if their aim is to combat fraud. But Germany is under pressure from Brussels to open up its gambling market, which is controlled by the country's 16 states. A new law to be adopted in January would see online gambling banned, except for betting on horse racing. Betting companies from other EU countries complained that the proposed new rules would severely hamper their activities or shut them out of the market. Following criticism from Britain, Malta and the ECJ in recent rulings, the European Commission told Germany in July that it may have to relax its draft gambling law to give online gaming firms more scope to operate. German liberal MEP Jürgen Creutzmann (Alliance of Liberals and Democrats for Europe), who is in charge of drawing up the European Parliament's response to the Green Paper, wants the Commission to table a directive establishing EU-wide minimum standards, leaving national governments to go further – and even ban online gambling outright – should they wish to do so. "Member states should be able to decide how to regulate online gambling themselves," Creutzmann told the hearing. But he urged national regulators to inform one another when they revoke a licence or detect fraud. Other lawmakers were quick to agree with the German MEP. "I want an EU-wide framework that offers a minimum – not low – level of protection for consumers. But member states should be able to go further if they want," said Steffano Mallia, who is in charge of formulating the EESC's response to the consultation. Mallia wants the Commission to draw up a "white list" of licensed operators and urged it to engage in an EU-wide fight against illegal ones. Among the ideas put forward by the Commission in its Green Paper was the establishment of an EU Secure Gambling Mark. Although Parliament rapporteur Creutzmann supports that proposal in principle, he warned that it would only represent minimum standards at EU level. "National quality marks would work better in countries that have gone further," he said. Representatives of the sports world, meanwhile, were keen to play down the risk posed by online betting to the integrity of sports competition. "If our matches were to lose credibility as a result of corruption or match-fixing, then the value of the product would decline for betting operators too, so we have a mutual interest [in protecting their integrity]," said Mathieu Moreuil of the English Premier League football championship. In many EU countries match-fixing is yet to be properly criminalised, which prevents the police from getting more involved in its detection. "Early-warning systems run by betting operators are a step in the right direction, but they're not obliged to pass that information on to us when we have their own concerns," Moreuil complained. He said sports organisations must work in tandem with betting companies to find solutions that are acceptable to all parties. "Some sporting organisations want binding agreements with betting operators. Others simply refuse to allow betting on their events at all," he said, citing the London Marathon as an example. The gambling industry itself would not appear to be against EU legislation, but there are concerns about its effectiveness unless companies themselves lead from the front. "We welcome strong regulation and would like to see it across Europe. But it will be hard to find regulators that are competent enough to regulate the online gambling market," warned Malcolm Bruce of Betfair, the world's largest online gambling firm. "Companies must take the lead, because they are on top of technological developments. Regulation is always behind technology," he said. Bruce said he would like to see the EU put together a continent-wide database of problem gamblers to help companies to keep such people off their websites. But he warned against putting the burden on companies to root out problems like fraud and match-fixing. "We can't resort to freezing betting too often because we have an obligation to our customers to pay them their winnings promptly – not after long investigations," the Betfair man said. Other industry representatives warned against duplicating requirements from one country to another as this would only serve to increase the financial burden faced by business. "We need common standards and should use guidelines published by CEN (the European Committee for Standardisation," said Sigrid Ligné, secretary-general of the European Gaming and Betting Association (EGBA), which represents leading online operators like Bwin, Party Gaming, Unibet and BetClic. In France it costs a firm €8.7m to receive a licence. "We can't duplicate this 27 times," she said. The European Parliament and the European Economic and Social Committee will adopt their formal responses to the Commission's Green Paper next month. The EU executive will examine those and other responses to the consultation before deciding whether to table draft legislation to regulate the online gambling market in 2012. "The economic significance of the online gambling sector has grown very rapidly and will continue to grow. It's a way for consumers to access cross-border online services," said Pamela Brumter-Coret, acting director of the European Commission's Directorate-General for the Internal Market and Services (DG MARKT). "But it's an extremely fragmented market and member states have taken very different measures to fight fraud and money laundering, and to protect vulnerable groups. They are regulating in a very diverse manner," Brumter-Coret added, warning: "We don't want to prejudice sports financing and must ensure that sports receive a fair return." "From outright bans to perfectly liberal markets, national regulations couldn't be more different. But the Internet has no borders and the Single Market should not be allowing this, so at the moment the gambling market doesn't work," said German liberal MEP Jürgen Creutzmann (Alliance of Liberals and Democrats for Europe), the European Parliament's rapporteur on online gambling. "If the rules are unclear and are producing many infringement procedures, then why not improve them? Several recent EU presidencies have tried to deal with this. You need to have a consistent gambling policy: online is not a different ball game, merely a different distribution channel," said Harri Syväsalmi, director for sport in the Finnish Ministry of Education and Culture. "The Commission will make its proposals, but when the time comes it's the member states and the Parliament who will decide. Nothing has changed there," Syväsalmi added. "Online gambling is a reality we cannot ignore and has major economic and social effects. There is a need for EU-wide action and having 27 isolated systems – the current status quo – is not on," argued Steffano Mallia, who is in charge of drawing up the European Economic and Social Committee's response to the Green Paper. "We need to strike the right balance between consumer protection and the interests of the internal market. Online gambling is a huge employer and a growing source of economic activity," Mallia said. "At the moment the principle of mutual recognition is not applied in the online gambling sector. Member states are free to do as they please, regardless of what the others do," said Philippe Vlaemminck, a partner at Brussels-based law firm Altius. "Regulation requires a legal framework. The courts are now fed up with [ruling on online gambling] and it's time for a political approach," Vlaemminck added. "Sports betting didn't create corruption in sport. There is no direct link. But the multiplicity of options available for which aspects of a game you can bet on has increased the risk. Less commercialised sports with less money available [from other sources] are generally more at risk," said Mathieu Moreuil of the English Premier League football championship. The EU online gaming and betting market represented 45% of world market share in 2010, according to figures from the European Gaming and Betting Association (EGBA). EGBA data also reveal that the EU online gaming and betting market represents 11% of the total European gaming market and was worth €10 billion GGR (Growth Gaming Revenue: stakes minus winnings) in 2010. The sector is expected to account for 13% of the total market by 2012 (€2.5 billion GGR), putting it among the fastest-growing industries in Europe. But this growth is not detrimental to the traditional offline segment, which the EGBA expects to retain the lion's share of the total European market with 87% in 2012 and continue to grow in revenue terms, from €79.6 billion GGR in 2008 to €83.7 billion GGR in 2012. Oct.: Parliament, EESC to formally adopt responses to Commission consultation. 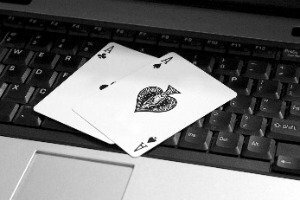 2012: Commission may propose draft legislation to regulate online gambling market. I recently published a second book, Switching Addictions, describing additional issues that confront the recovering addict. If a person who has an addictive personality, doesn’t admit to at least two addictions, he’s not being honest. These are two books you might consider adding to your library. I also publish a free online newsletter, Women Helping Women, which has been on-line for more than ten years and is read by hundreds of women (and men) from around the world. (www.femalegamblers.info). I have been interviewed many times, and appeared on the 60 Minutes show in January 2011, which was moderated by Leslie Stahl. How to play should definitely be released. monopoly is to prevent problems. competitive situation, players will be MORE money in your hand. coefficient of 1,95 and 1,95 an example of a monopoly company factor 1,80 and 1,80 player eats a lot of money quickly. Still, I would add. In Finland, Ray’s slot machines are squeezed into every trade, bar and kiosk. These machines do not have one iota worried dependent, but it is simply the pursuit of profits. Monopoly, but proponents argue monopoly dependency, but is not really dependent on them not to worry, but it is, but the protection of a monopoly. Monopoly is not a game to eradicate the problems, but a pure profit-seeking.